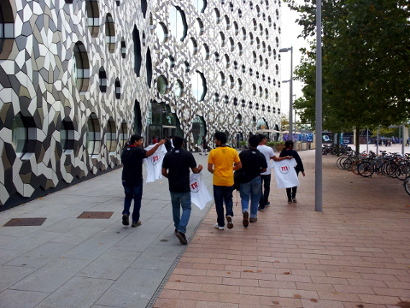 In the morning we arrived at Ravensbourne, which hosted Mozilla Festival for 3rd time, there we had facilitators briefing. It was a great welcome and the increased number of facilitators since last year made me feel that this festival was going to be bigger than ever. After this briefing we had a reps briefing on how we were going to move and participate during the festival and then it was time for our first hack activity. 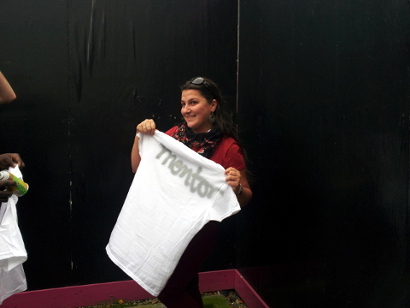 We were provided with white webmaker t-shirts and spray paint and a place to remix our t-shirts! 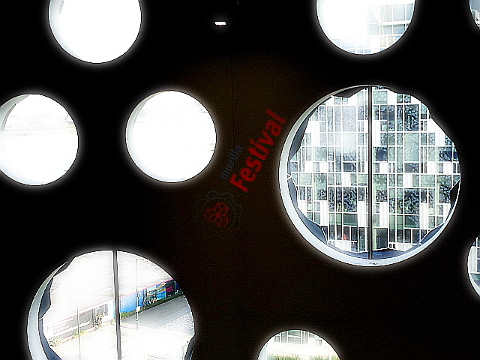 Finally the moment had come, Mozilla Festival started with the Opening Science Fair. 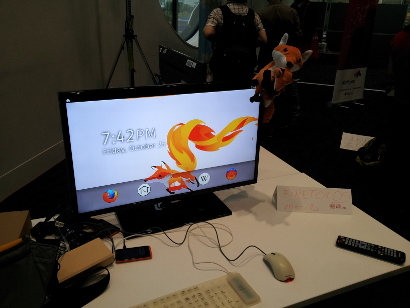 Mozilla Reps had set up one booth for Firefox OS and one for Firefox Student Ambassadors. I was pleased to prepare and be the most time on Firefox OS booth and this gave me the opportunity to talk with many people about Firefox OS project and how the can help and/or use it. 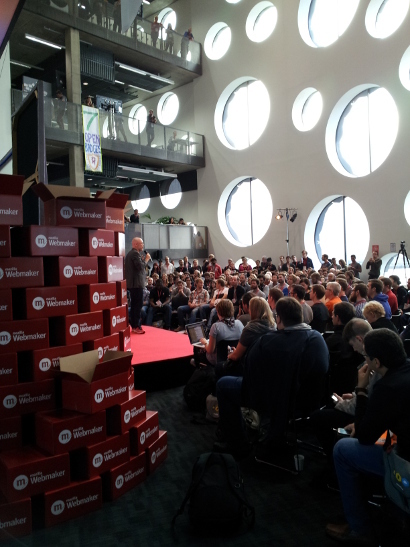 The 2nd day started with some introductory talks about Mozilla Festival and the schedule. 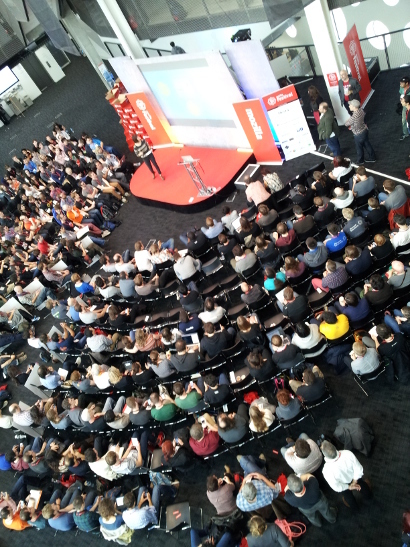 And then... a weekend of creative minds into action started! 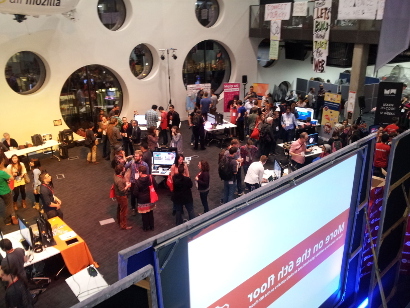 It was amazing, people of all ages mixed together learning, discovering, creating, hacking, having fun and playing. I was there too, teaching but also learning about privacy, open data, how to use web in several aspects. This awesome organized chaos continued during the 3rd day of the Festival. Of course, Firefox OS booth was there during these two days. Mozilla reps were presenting several devices with Firefox OS and were there to answer any questions. Check here some photos. Unfortunately every good thing has an end, so Mozilla Festival closed with a demo party where people presented what have made during the weekend. 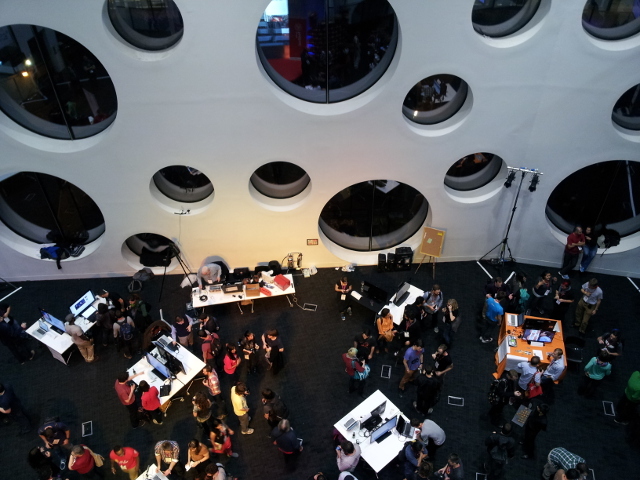 This was the biggest and most productive Mozilla Festival ever! It was an amazing experience and I surely want to be there the next year!